Family Game Night at David Street Station has just been taken to a whole new level thanks to the talented Core Construction students at the Pathways Innovation Center. 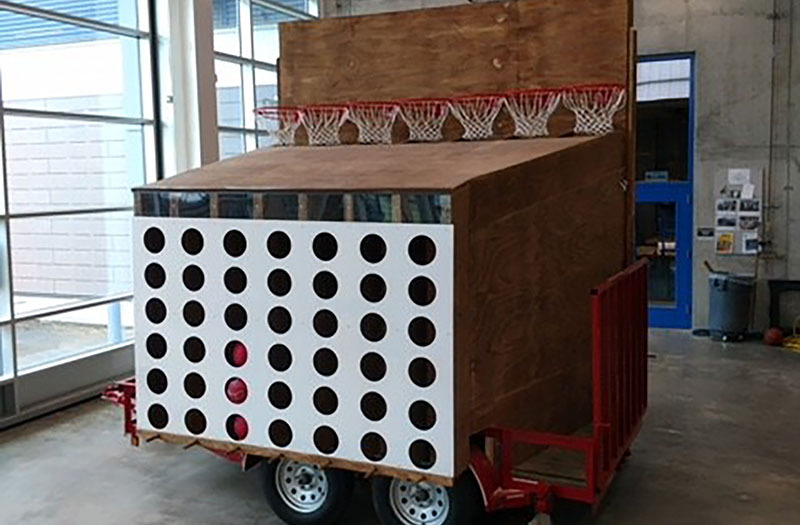 We’re thrilled to reveal Casper’s first giant hybrid Connect Four Basketball Game just in time for the Foss Motors 3×3 Basketball Tournament in downtown Casper starting tomorrow, May 26th. Families will also be able to try their luck at the giant challenge at David Street Station’s Family Game Nights kicking off in June. Several months ago, Kevin Hawley with the Downtown Development Authority approached Rob Hill, the Core Construction instructor at Pathways, with an idea that would amplify the traditional table top connect four game concept. 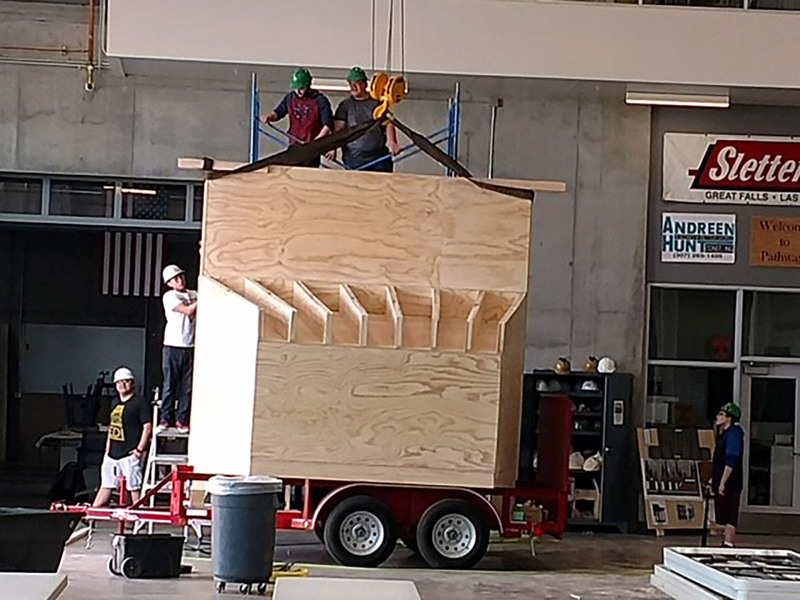 After months of researching and planning by the students, construction began just three short weeks ago. “It’s always nice to work with people from the community, but this project was particularly engaging because it made us look at things differently. It required critical thinking and research on the students’ part,” said Hill. 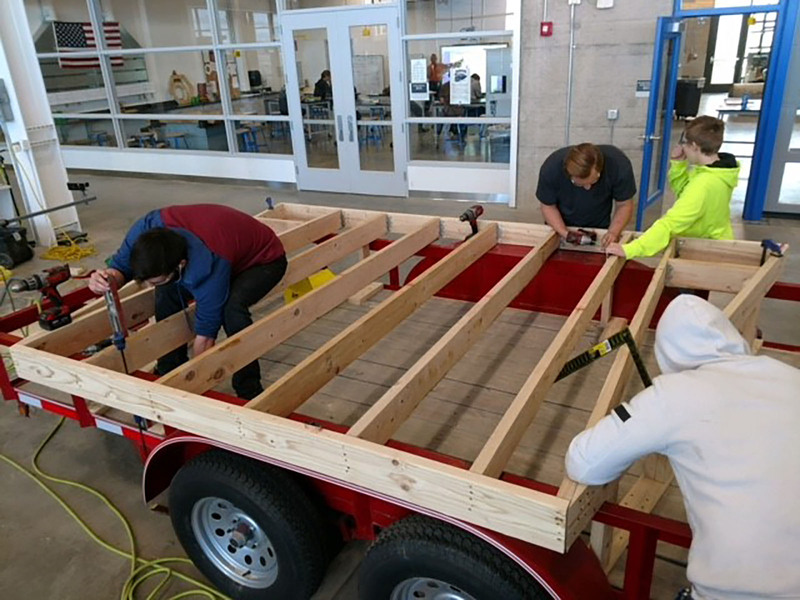 According to Hill, about 30 students participated on the project, starting with an empty trailer donated by Foss Toyota, and building it from the ground up. “Team work, collaboration, ideation and a lot of testing is what made the project a success in a short amount of time,” said Hill. The Casper community and visitors are encouraged to attend the 3×3 event this weekend, enjoy the amenities at David Street Station and take their chance at some giant Connect Four Basketball! Don’t miss a shot, or your opponent may connect a line of basketballs before you. For more information on upcoming events at David Street Station, including Family Game Night, visit www.davidstreetstation.com/events. 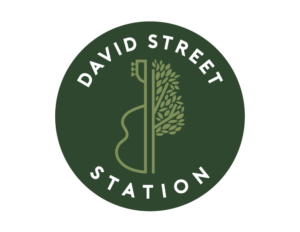 June 1 Kicks Off David Street Station’s Summer Events Series!! No Replies to "Giant Connect Four Basketball Game Reveal"